Yume Nikki (ゆめにっき) is a 2004 surrealistic adventure game. The game was created using RPG Maker 2003, but has few role-playing game (RPG) elements. 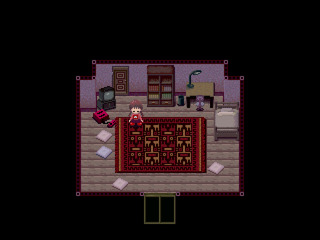 Players explore the dreams of a hikikomori character named Madotsuki (窓付き). Traveling through her dreams, the player encounters surrealistic horror scenes, such as being swallowed by a large red sewer-creature.